Singapore: A Singaporean couple who starved their Philippine maid until she weighed just 29 kilogrammes (64 pounds) were jailed Monday, in a case described as “shocking” by prosecutors who are appealing for stiffer sentences. Trader Lim Choon Hong, 48, was sentenced to three weeks in jail and fined Sg$10,000 ($7,200), while his wife Chong Sui Foon, also 48, was jailed three months, the couple’s lawyer said. Both were convicted last year of violating employment laws for failing to provide enough food for their maid, Thelma Oyasan Gawidan, over a 15-month period in 2013 and 2014 at the couple’s condominium in the posh Orchard Road area. State prosecutors, who have described the systematic starvation as “downright shocking in its extremity and severity” are appealing the sentences and pushing for the pair to be jailed for the maximum 12 months. Gawidan, who is in her 40s, lost almost 20 kg during her time working for the couple, who only allowed her to eat two meals a day, usually a few slices of white bread and small portions of instant noodles prepared by Chong. She had no access to her mobile phone, was not allowed to go out on her own to buy food, and only allowed to shower twice a week. Gawidan ran away in April 2014 and called a compatriot for help. She was taken to a migrant workers’ shelter which helped her file a complaint with the manpower ministry. 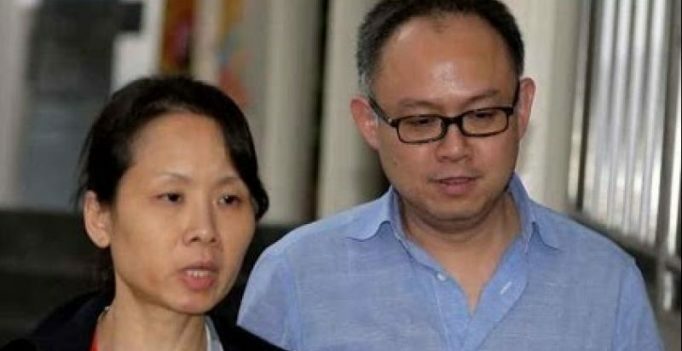 The couple’s lawyer Raymond Lye said they will remain out on bail pending the prosecution’s appeal, adding that they were “remorseful and sincere in expressing their regret”. Many Singapore households depend on foreign domestic help. In 2016 there were 239,700 foreign maids working in the affluent city-state, mostly from Indonesia and the Philippines. Huawei also plans to bring its own AI processor this year. But it is still unclear whether the Mate 10 will incorporate the AI processor….